Since 1986, Reflex Amsterdam is situated opposite the Rijksmuseum. The gallery is dealing in modern masters and representing young and established contemporary artists. One can always find an inspiring exhibition to be apart of, and beginning the 6th of May a new exhibition lands at this iconic gallery. This Spring, Reflex Gallery gives a warm welcome the first solo show in the Benelux by L.A. based sculptor Joel Morrison. The exhibition will be a combination of recent work amongst brand new and never seen before pieces, giving us another reason to get excited. Morrison, an internationally recognised artist, is known for his sculptures of stainless steel that capture the viewer in more ways that one. His use of humour is obvious, drawing the viewer in, but it is the further association and meaning that keeps the viewer entranced by each piece. Morrison’s sculptures have an impeccable finish; the stainless stele not only shines but gives his work a slick, modern finish. With the added humour and sometimes ambiguity of the pieces, one could get the vibe of Jeff Koons, Sherry Levine or other pop-art artists. As well as ever-changing exhibitions, Reflex Amsterdam has exclusive art available for the public! Right now, Reflex has announced the release of a new limited edition silkscreen print by Donald Baechler. Note to readers – if you like what you see, contact the gallery, it is where you can get your hands on all unique and exclusive pieces. 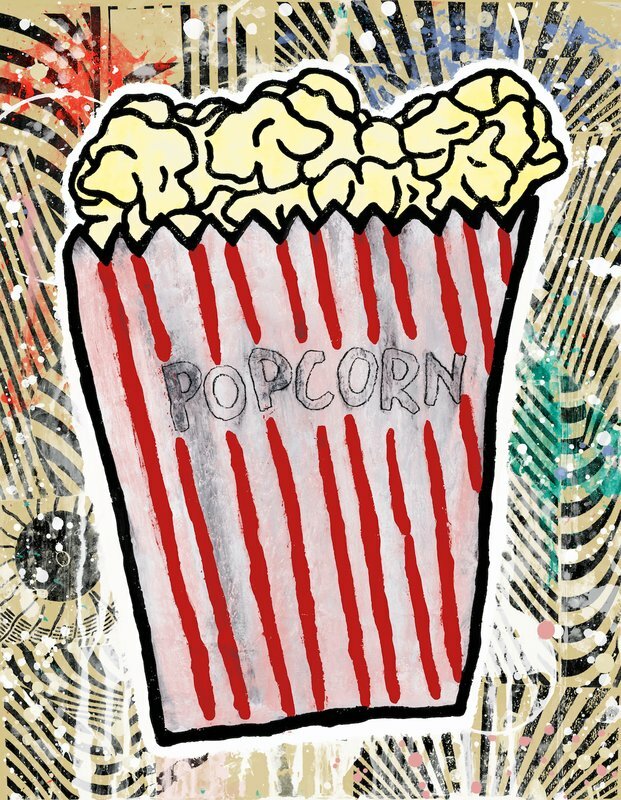 This current piece is called Popcorn, it’s fun and perfect for adding an extra ‘pop’ to your place. Baechler is also an L.A based artist whose source material draws broadly on classical art history, the New York School, contemporary art, folk art, outsider art, pop culture, and childhood. Next articleRALPH MOORMAN: Boost your body!